Come pick berries and enjoy a glass of wine afterwards. Enjoy a wine tasting and then stop by our farm stand. Pick up some veggies and a bottle for wine for dinner. All wines are handcrafted in small batches from fruit grown here on the farm. We use old-world methods to make natural farm wines — we never add chemicals or sulfites to our wines. Visit the winery for a tasting during good weather in our outdoor tasting area near the vineyard or stop by and pick up a bottle or two. We grow a wide variety of fruits, berries, and vegetables — including some you may have never tried before. We only sell what we grow. Discover the flavor of fresh, in-season fruits and vegetables on our farm stand. Check out our flexible CSA - signups available all year. We care for around a half dozen hives. In addition to helping pollinate the crops, the bees provide delicious honey, wax, and pollen (all for sale at the farm stand). Beekeepers who may be interested, we may have Nucs available in the Spring. 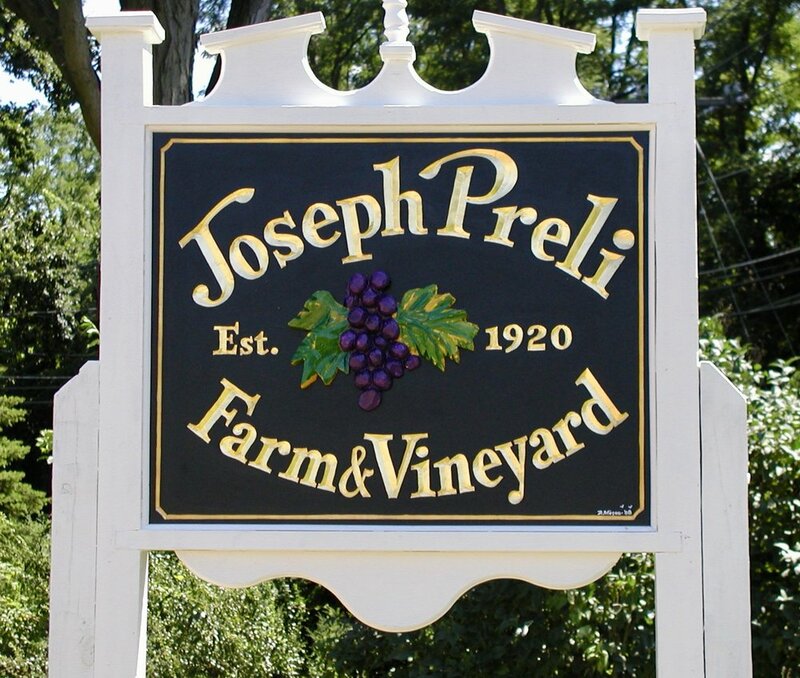 Joseph Preli came to the US from Northern Italy with his wife Rose and started a farm in 1920. He made wine for his family and friends from the Concord grapes that were growing on the property. Joseph and Rose had six daughters who continued stewardship of the farm. The sisters carried on the tradition of making wine from the Concord grapes. Joseph’s grandson John picked up the reigns. In addition to farming with antique tractors he has restored, John and his partner Jeanne have opened a winery to share the wine with you.